One moment Angie Morse is standing on the deck of a large luxury yacht and the next she feels a stinging blow to her head from a champagne bottle wielded by a beautiful woman. And then a push. She is in the water. She can see people on the yacht, but they don't seem to notice that she is gone, and all seem to have deliberately turned their backs as the yacht begins to slowly pull away from her. These are her friends, and one is her love. Two had a reason for getting rid of her, though she would never have thought it would come to this. Until now. Revenge burns so deeply inside her that she knows she will survive somehow. She will get them. One way or another. 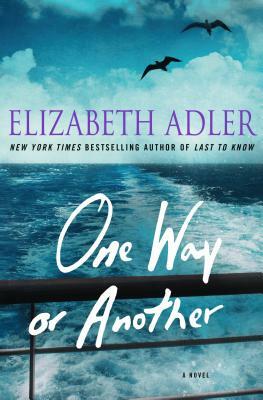 Told with Elizabeth Adler's trademark attention to luxurious detail of people and places, One Way or Another is a glamorous, twisty novel of vengeance and vindication. ELIZABETH ADLER is the internationally acclaimed author of thirty novels. She lives in Palm Springs, California.